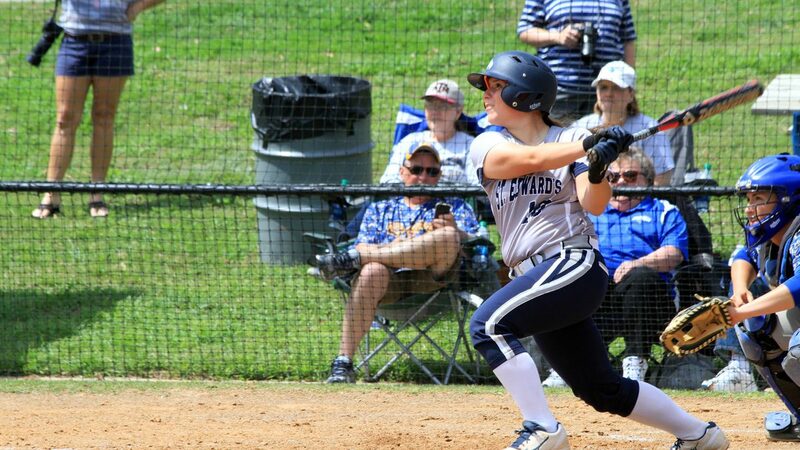 St. Edward’s University senior catcher Melina Sanchez was the Hilltoppers’ defensive pillar all year long. Sanchez, a 2013 Edinburg North grad, was nearly flawless in field. She played behind the plate and ranked second on the team in fielding percentage with a .983, making only three errors in 181 chances. Sanchez was a rock. Not only were mistakes rare, but the kinesiology major recorded 157 putouts and caught 11 runners stealing. 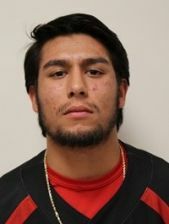 In Division II Heartland Conference play, she was even stingier, catching three of five runners who attempted to steal and recording 77 putouts and just 1 error in 19 games played. When Sanchez wasn’t playing catcher, she was a DP and hit .208 with four doubles and two home runs in 125 at bats. She also garnered 15 walks and picked up 36 total bases. The former all-area catcher and four-year letter winner got to St. Edwards in Austin via a stellar two-year stint at Temple College, where she earned second team all-conference and academic all-conference honors. Sanchez said her four-year college softball career has been an absolute joy and wishes she could do it all over again. What’s more, Sanchez said the St. Edwards community and being in Austin were perfect for her. The recent graduate said she believes there’s plenty more college-level softball talent in the RGV. Sanchez said it’s just a matter of whether girls will apply themselves. 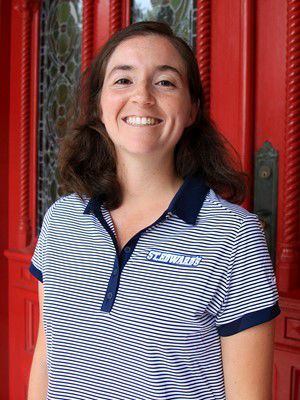 Jessica Tamen did about everything she could have done for St. Edward’s University golf during her five-year career at the DII Austin school. The Edinburg High grad was named to all-conference teams, she was an all-American scholar, she was named to the President’s Honor Roll, and she was part of a conference all-tournament team. Tamen, a senior, was also named winner of the Kim Moore Spirit Award from the Women’s Golf Coaches Association in 2013, a national honor bestowed on one DII student-athlete who is a role model for her golf team and has mental toughness in facing challenges. The former Bobcat, who finished sixth at the state tournament in 2012, recorded a career-best 78 average with a low round of 72 this year. She posted two top-10 finishes in nine events in 2017. The Hilltoppers finished third in the Heartland Conference and qualified for the NCAA DII super regional, where they placed sixth. Tamen and St. Ed’s also made the super regional in 2016, and when she was freshman in 2013, the team finished fourth in the DII NCAA championships. Harlingen South’s Jacob Atkinson is coming into his own at the University of Houston-Victoria. The sophomore pitcher has made marked improvements over last season. Atkinson, who is listed as a pitcher, went 3-3 this year in 13 appearances for the NAIA Red River Athletic Conference Jaguars, which are coached by former Houston Astros’ great Terry Puhl. From the mound, the right-handed Atkinson struck out 24 and walked just 16 of the 186 batters he faced in 41 innings pitched. At the plate, Atkinson helped the Jaguars with 28 hits (two home runs) and 13 RBIs while batting .364 in 26 games. Second team all-conference sophomore Maximiliano Jara has put together two solid years for Wiley College, a historically black NAIA university in Marshall. 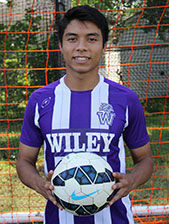 A midfielder who started 13 games for the Wiley Wildcats’ soccer team, Jara scored one goal and notched one assist on his way to earning Red River Athletic Conference honors for the 2016-17 season. As a freshman, the Valley View alum was named to the conference all-tournament team, won the team’s newcomer of the year award and was a conference scholar athlete. The 2016-17 campaign was Wiley’s fourth straight winning season. Wiley and Jara are coached by Demetrio Hernandez, who went to college in Reynosa but has lived in East Texas since the early 1980s. There were 14 RGV players on Wiley’s 21-man 2016-17 roster.